Sticks & Dirt: The earliest form of art and one that is most fleeting. Virtually everyone has drawn something in the dirt from stick figures to “I love you hearts,” and of course directions. Considering some form of dirt is readily available to almost all of us, it makes an on the spot support for drawing words and subjects that amuse or convey thoughts, and so virtually most everyone is an artist. Thanks to a stick or a finger and the soils of the earth, creativity lives inside and out of the imaginations of us all. No doubt the earliest of men and some primates, took to the soil to express ideas that primitive man’s vocabulary couldn’t convey. Only to see these thoughtful renderings fall victim to the winds of time. In a more recent age, the fingers and palms of the hand became a useful tool for blotting or rubbing out scribblings that did not achieve meaning, much less profound witticisms. The images he considered to be of value ultimately led the desire to save and protect them. It wasn’t long before man wanted to immortalize his best stick and dirt art, when he discovered pigments. He applied his renderings to a rock or masonry structures, therefore ensuring some permanence of his visual thoughts for all to see, and let’s not forget the all important admiration for his cleverness. It may of taken a dozens of millennia or more to hone in the skillful craft, but sooner or later that ultimately led to the ceiling of the Sistine chapel an a whole bunch of great art. Consider the ground beneath your feet and that stick in your hand was the genesis of art. Your ancestors set forth not only art but the early markings of a visual vocabulary. Many of those doodlings were symbolic then, and are much the same today. If you can’t paint, try this, go for a walk where there is dirt find a stick draw or scribble, then pull out your ever present mobile device take a picture posted it on social media and declare yourself the next rising star in the art world. You will be surprised how many people will believe you. 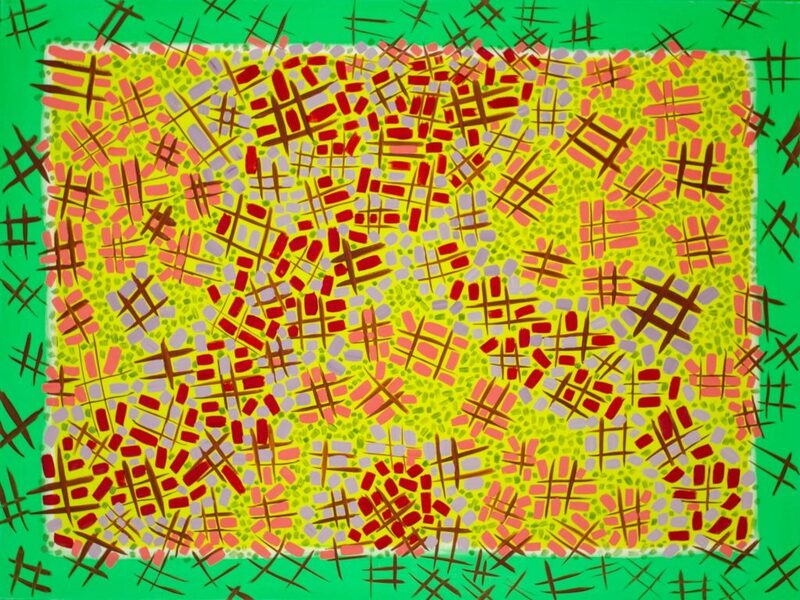 Posted in Receptive Abstract Patternism, Rod Jones Artist and tagged art advisor, art collector, art consultant, art curator, contemporary art collector, interior design, interior designer, kunst, Rod Jones Artist. Bookmark the permalink.